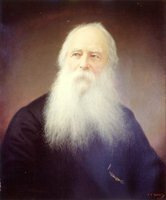 SMITH, SAMUEL, army officer, politician, and colonial administrator; b. 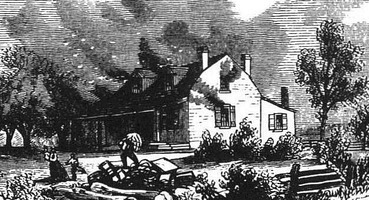 27 Dec. 1756 in Hempstead, N.Y., son of James Smith, a Scottish immigrant; m. 21 Oct. 1799 Jane Isabella Clarke at Newark (Niagara-on-the-Lake), Upper Canada, and they had two sons and nine daughters; d. 20 Oct. 1826 in York (Toronto). Samuel Smith joined the Queen’s Rangers as an ensign in 1777, rose to captain in 1780, and was among those officers who surrendered at Yorktown, Va, in 1781. After the war he settled briefly in New Brunswick, and in 1784 went to England. Commissioned a captain in the second Queen’s Rangers on 20 Dec. 1791, he was first stationed at Niagara (Niagara-on-the-Lake). 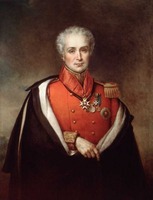 In August 1794 he led the detachment sent to York. He commanded the regiment from 1799, was promoted lieutenant-colonel in 1801, but went on half pay when the Rangers were disbanded in November 1802. He retired to the land he had taken up in 1796 in Etobicoke Township, where other disbanded Rangers joined him. It was a settlement that was to remain isolated from the town of York for another 20 years. Smith had 1,000 acres there, but could not afford the grand schemes that he entertained for their improvement. 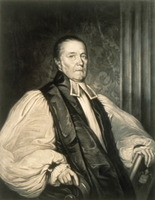 On his retirement his circumstances were modest enough to make his notably pretty sister Anne seem a poor match to the ambitious Joseph Willcocks*. 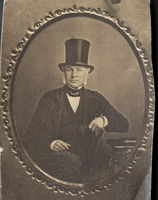 Smith lived at Etobicoke without any public office for more than a decade until on 30 Nov. 1813 he was appointed to the Executive Council, on which he sat until the year before his death. 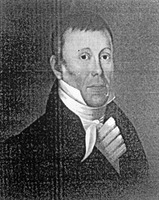 On 11 June 1817, as the senior councillor who was neither a Roman Catholic like James Baby nor the holder of another office like John McGill or William Dummer Powell, he was sworn in as administrator of the province, Lieutenant Governor Francis Gore* having left Upper Canada. He served until 13 Aug. 1818 and again, during the absence of Lieutenant Governor Sir Peregrine Maitland*, from 8 March to 30 June 1820. As administrator he shelved the problem of granting land to American immigrants. His instructions were to administer the oath of allegiance to them (which Gore had raised a storm by refusing to do), but to require seven years’ residence before granting them land and to dispossess those who did not qualify. Instead he accepted the advice of his Executive Council not to disturb the security of land titles by raising the question, which was not settled until the Naturalization Act of 1828 validated all grants up to 1820. His inaction was sensible, but it did leave the council “sleeping over an Office choked with applications,” as Maitland put it. Smith failed with the House of Assembly, which after its prorogation by Gore on 7 April 1817 was in no mood to be conciliatory. It quarrelled with the Legislative Council over the latter’s amendment of money bills, refusing to vote supply except by an address directly to Smith, without the council’s participation. It also demanded an accounting of civil expenditures and voted to repeal its original grant of 1816 when it found that, of £2,500 voted, £800 had gone to a pension for the former chief justice, Thomas Scott, and £400 to a salary for the speaker of the Legislative Council. 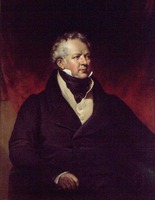 After two months, despairing of any cooperation between the two houses, Smith prorogued the assembly on 1 April 1818. Smith received most criticism for the ineptness of his attempt to cope with Robert Gourlay*. Gourlay wrote that “as a President he is nothing.” John Strachan* thought him “feeble,” and “without energy or talents.” Yet it was Smith, without consulting either Powell or Strachan, who had decided in April 1818 that Gourlay must be arrested if there was a law to allow it; and, after Gourlay’s acquittals for libel, Smith still sought advice on the possible illegality of Gourlay’s York convention. Smith’s tory abhorrence of sedition was restrained by the law, not by indecision. When Maitland arrived to take over Gourlay along with the other problems of government, there were expressions of relief in the province. It is likely that Smith, from his retirement in Etobicoke, shared them. S. R. Mealing, “SMITH, SAMUEL,” in Dictionary of Canadian Biography, vol. 6, University of Toronto/Université Laval, 2003–, accessed April 24, 2019, http://www.biographi.ca/en/bio/smith_samuel_6E.html.